Vacation can be a drag when you’re trying to keep that waistline in check. You don’t want to throw away those countless hours at the gym and the hundreds of meals you prepped to live a healthier lifestyle. So, we’re here to lend a helping hand to those who want to keep it up and have fun at the same time. It might seem impossible with the endless temptations in Sin City, but anything is possible if you know where to look. You might have to work a little harder, but when you slip into your trunks or bikini everyone is going to be envious of your hot bod– plus you won’t look like a bloaty blowfish. You came to Vegas to drank and that’s okay. If you do it right, you’re not wasting your Weight Watchers points with empty calories. Every good night starts off with a little tequila. There are tons of bars where you can take a sip of Mexico, but here are the top places to drink Tequila in Vegas. Although margaritas are filled to the brim with Willie Wonka level sugar, there’s a way to cheat the system without the crash. Ask the bartender for tequila on the rocks with fresh lime or lemon. Squirt a few drops in your drink and voila. Make it a double, you’ve earned it. Are you a classy broad? Do you drink most of your drinks in a champagne flute? Well, look no further because surprise surprise champagne is not super bad for you. FIZZ inside of Caesars Palace serves up some of the best flutes in town. With only 85 calories, you’re in the clear. Just watch out, the hangover could be killer. The O.G. of cocktails has entered the building. You’ve guessed it, vodka. Like any basic b*$!%, vodka soda is low-cal and we’re pretty sure a bartender won’t mess it up. And even if you get super drunk, everybody understands these two words slurred together. Want to impress your friends with your “mixology” knowledge? Here are a few fancy named drinks and Top Upscale bars that will have everyone’s eyebrows raising. Ask for any of these and your taste buds will be dancing the night away. Order a sea breeze (cran, grapefruit juice and a lime wedge), mint julep (mint leaves, superfine sugar, seltzer water and Kentucky bourbon whiskey), gimlet (gin, lime juice and simple syrup), Moscow mule (vodka, lime juice, ginger beer and a lime wedge) or a simple old fashioned (simple syrup, Angostura Bitters, orange peel, bourbon and a cherry on top). We decided to list the ingredients for this, so you don’t look like an amateur if the bartender asks. Now that we’ve given you the key ingredients to any good night, it’s time to party now and ask for forgiveness later. You can make up for it by getting your grub on the right way or working out at the fancy schmancy gym in your hotel. 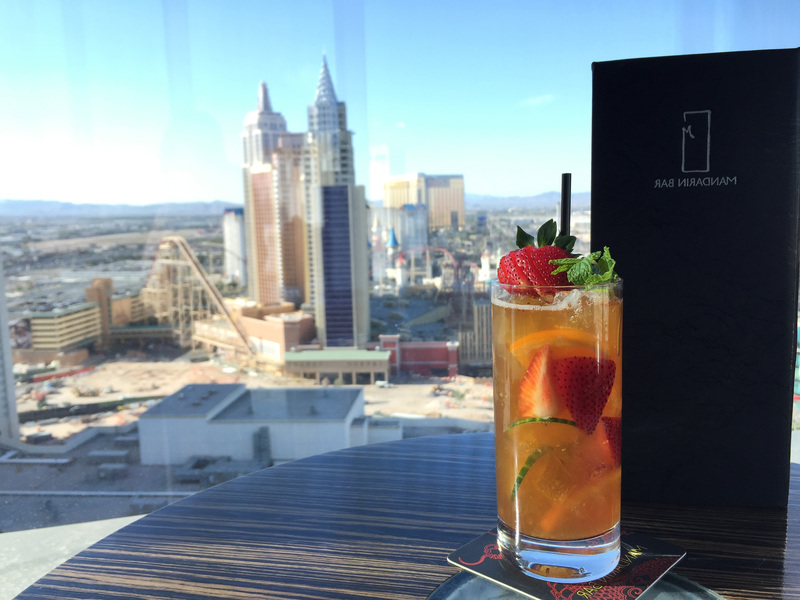 Check out how to eat healthy on vacay and werk off your calories in Vegas below.